TREE SURGERY EXPERTISE FROM DOWNLANDS TREE SURGERY. Tree Pruning and Removal Experts in Midsomer Norton. Tree surgery, surgeons and the process of tree pruning is looked at as a simple job, we can’t say that it’s a simple operation as a lot of people think it’s imagined to be. The process is difficult and expert knowledge is needed to execute. In order to successfully prune a tree, or to removal a tree entirely, an expert tree worker in the field of tree biology and structure is needed to make sure that the process is executed correctly, and with care. If it’s not undertaken correctly then there are risks which making pruning cuts, it’s not worth the attempt if you don’t have the experience, nor the correct equipment. 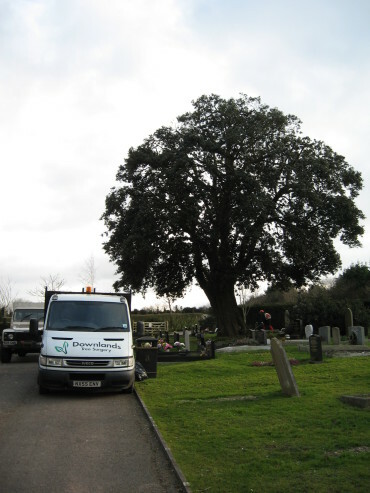 Here at Downlands Tree Surgery, we serve the Midsomer Norton area and have executed a wide range of different tree pruning and tree removal projects around Midsomer Norton. Whatever the size of the tree, we can judge where and how best to shape it, leaving it in the most favourable conditions for your requirements and its own well-being. Whatever your requirements, or the size of the tree and project, we have an expert knowledge in the field to be able to correctly judge where and what the best approach is to shape it., leaving it in the most favourable condition for your requirements and its own well being. crown reduction to reduce the height of a tree that is out growing its position. crown lift to remove the tips of the lower branches to allow more light on the landscape, and us, below it. Over the years, we’ve discovered how trees not only thrive in urban environments, but also how, with proper care, they can be beneficial to us. All our work remains sympathetic to both your needs and to the health of the tree. Health and safety is a paramount concern. And, of course, we always clean up and remove any prunings and leaves. Downlands Tree Surgery provide tree pruning and tree removal services across the South of England, including Frome, Bath, Warminster, Chippenham, Wells, Trowbridge, Street, Corsham, Devizes, Swindon, Shaftesbury, Wincanton, Gillingham, Mere, Marlborough, Pewsey, Amesbury, Salisbury, Andover and other locations.